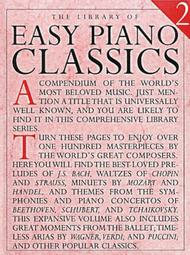 A compendium of the world's most beloved music, just mention a title that is universally well known and you are likely to find it in this comprehensive library series. 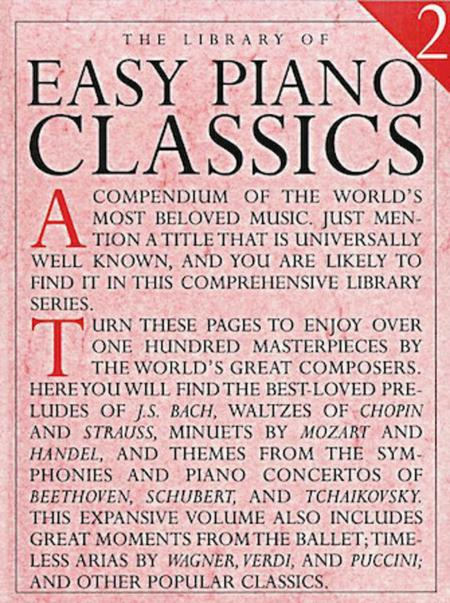 Enjoy over 100 masterpieces by the world's great composers, best loved preludes of JS Bach, watlzes of Chopin and Strauss, minuets by Mozart and Handel and themes from the symphonies and piano concertos of Beethoven, Schubert and Tchaikovsky. This Expansive volume also includes great moments from the ballet; timeless arias by Wagner, Verdi and Puccini and other popular classics. It answers the vital needs of the student, teacher, and today's audience. My piano student brought this book to me and I had to spend a lot of time making corrections! I was very dissappointed with the publisher! Basic mistakes included wrong notes and wrong accidentals! I have no complaint with the service at Sheetmusicplus.com, but with the publisher of this book, AMSCO publications. I have found one incomplete piece, cut off in the middle; a missing Coda symbol; and missing sharp and flat notations. And I've only gone through half the book. This collection is very simple to be plaid. The musics are very famous and icludes the best known classical pieces.